Is Australia doing enough to remain prosperous in the future? Australia is in a $1.6 trillion global innovation race, where our future prosperity is tied to the pace of innovation and our investment in R&D. The recent Australian Financial Review Innovation Summit explored how Australia can best ride the technology race in health, agriculture, energy, transport, finance and the professions. 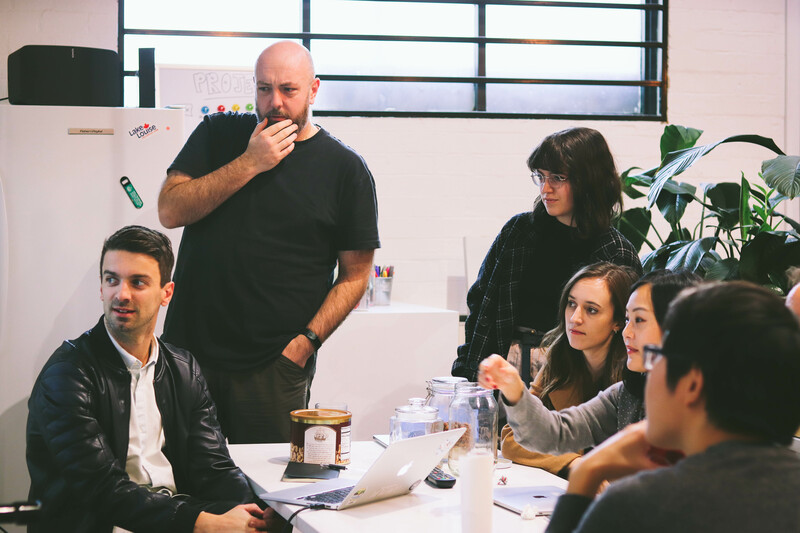 It’s important for Australia to remain competitive in the global market, and as one of the sponsors of the event, ustwo want to be part of Australia’s innovation journey. We captured three key themes that emerged over the course of the summit which encapsulate the challenges and opportunities for Australia to remain prosperous in the future. Australia is going through an intense period of change, where our lives are changing faster than business or government is able to, resulting in disruption. Estonia only has around 1 million people but it has the highest startup per capita rate because of government assistance and support. This highlights the need for government and business to work together to foster a culture of innovation.A number of panellists urged the government not to touch the R&D tax incentive schemes, as they believe it helps founders keep equity, which is better for the startup and innovation ecosystem. Another issue affecting the pace of innovation is that most companies are too focused on inventing new technology when in reality modern innovation is more about the integration of known technologies rather than necessarily the invention of completely new things. As one speaker put it ‘squint at the world at things that irritate you and think about things that should be fixed’. When innovation is done right, the success rate should be a minimum of 35%, however, the reality is that only 4 or 5 innovations out of 100 return the cost of capital. The key is to move past legacy technology and think about how to drive a company forward by opening up new revenue streams, such as Amazon and Amazon Web Services.While Australia has the brain power to be one of the most innovative countries in the world, we have traditionally gone after low hanging fruit. This is the expected entry level of business improvement and is not the key to pushing innovation. Some of the most profitable companies in the world are platform innovations, such as Amazon, PayPal and Facebook. Amazon, in particular, has 5x the conversion rates of Australian retailers. To compete on a global scale, Australian companies need to focus on R&D skills, managing for innovation and scaling up companies globally, which we are currently struggling to do. Lastly, we need to look at how we measure innovation. Companies end up on a ‘Most Innovative list’ but understanding what the real level of innovation is is not so straightforward. Setting up Innovation Labs with countless ideas but no execution isn’t always the path forward. Despite Australia’s potential, there is a habit for us to wait, and we are happy to be reliant on the rest of the world to lead the way first. To reach our potential, Australia needs to boost collaboration between industry, government and companies, and upskill in areas of innovation and tech. Of the top 5 companies in the ASX, the youngest is CBA - which was founded in 1911. In comparison, on the US stock market Top 5, the oldest is Apple (1980), with Facebook founded a mere 14 years ago. Because scale is a problem for Australia, we have to compete on quality instead.There seems to be a hesitation to wholeheartedly embrace automated technology like AI. If you think about Photoshop, it has not destroyed photography- it is an automation tool which has brought more people into the photography and design market. We need to change the narrative around AI and understand that it enables us to work differently, smarter and set the stage for innovation. Coming back to one of the key topics at the summit, Australia’s investment in R&D from an industry point of view is falling behind- this is why Australian businesses are struggling. Companies should be looking to invest 15-20% of their profits back into R&D. Business leaders and government need to focus on understanding what skills Australia needs and how we can help address them for the future. While jobs in the digital economy keep growing, there is a deficit of workers with the right skills to match employers’ needs. One in six businesses in Australia face a problem involving skills deficiencies; 45,000 businesses are deficient in IT professionals. To stem the tide of skills shortages, governments need to include enterprise training at all levels of the education system, from early school years to further and higher education institutions. There also needs to be more of an integration of entrepreneurship programs and STEM subjects at all levels of secondary school as well as more financial support. There was much debate that Australian CEO’s are not always the most confident to navigate digital change, but there is trust and confidence that developing a digital strategy and upskilling their workforce will be effective in preparing for the future. Technology has leveled the playing field and the brands that think creatively will win. The companies we recognised as the most innovative have been able to bring together existing tech and deploy it in a useful and valuable way. We shouldn’t limit our thinking to protect what we have, or adopt a wait and see approach. As humans we are motivated by endless curiosity and are continually learning. Applying this to business and teams bring about new ideas and growth. How we drive innovation is a conversation we are always having across our studios and with our clients. We have built a culture of dreamers and doers, and we put no limits on where we can go. It is this type of inspiring thinking that creates happy teams and why clients work with us. To chat to us about how we can help drive innovation for your business, get in touch hello@ustwo.com.